Hello everyone! We hope you had an amazing weekend. And now, the time has come for a new review. We are moving closer to our goals. Bitcoin price has risen above $4000. As of this writing, the coin has yet to reach the level of $4200. The price is currently around the $4080 mark, which is a resistance level on the way to $4200. EMA50 has surpassed EMA100 from the bottom up, which indicates a signal towards increasing. EMA50 at the level of $4065 will act as a local support level. The MACD indicator is in the positive zone. The 4-hour time frame also maintains the signal to buy. EMA50 at the $4010 level is preventing a decrease, acting as a support. The MACD indicator is also in the positive zone. A high established on March 9 at the $4045 level is currently serving as a support. The daily chart is much more interesting. EMA50 and EMA100 are narrowing and driving pressure to the price. EMA50 is moving up and is currently below the price level, which defines its support level at $3900. EMA100 at the $4277 level serves as a resistance level. Thus, the price is confined to a narrower range. The MACD indicator is in a positive zone. So what can we expect this week? 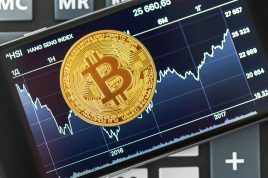 Even during the weekend, last Saturday the price demonstrated significant growth, and the $4200 level might be tested again in the near future. But we shouldn’t forget that in longer timeframes the support levels are at $4010 and $3900, and the price might fall to these levels before it increases again. 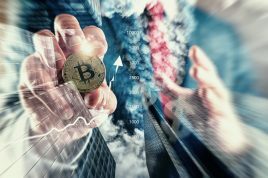 One major topic heavily discussed last week was a CBOE refusal to sell Bitcoin futures in March, which was explained by a need to reassess their approach to working with them. Futures contracts that were launched prior to the announcement will continue to be traded. The period of validity of the last contracts is set to expire in June 2019. 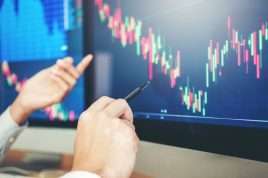 The CBOE exchange together with the Chicago Market Exchange (CME) launched futures at the end of 2017, when the price of the most popular cryptocurrency exceeded $19000. 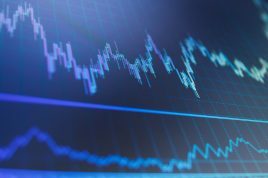 Trade volumes at both exchanges have been falling for some time due to traders’ declining interest in digital assets. Wishing you all high profits!